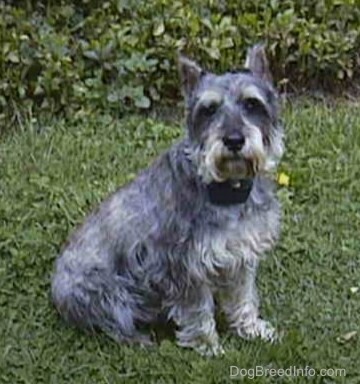 Max the Mini Schnauzer was a small dog with a big personality. He won over everyone who came in contact with him, even if they were not dog people. He felt every delivery and service man who came to sthe house came to play with him, so they all did. Max would talk to you and back at you if you were not saying the things he wanted to hear. He was very patient with people. He didn't bark a lot. If he wanted to go out he would just stand patiently by the door till someone noticed and let him out. Same thing when he wanted to come in. He did bark when people came to the house and get excited to be let out to greet them. If he was outside when you arrived he would run to greet you. If you were sad he would just come sit beside you. When the grandchildren visited Max would ask them for a bone in his low voice that sounded like a "rrwwwwwwwwwwww" and the kids would run to the cabinet to get him one. When the grandchildren would spend the night he would lie beside their bed. He was a good dog with children, adults and other dogs. There is an emptiness without his presence in the house. I could go on for pages about him, but it all comes down to he will be remembered, thought of, and missed for a very long time by many. 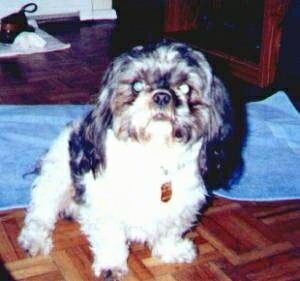 This is our Max, a stray Shih-Tzu dropped from Heaven into our lives on a cold February day. I gave Max to my mom at the perfect time—one month before my father suddenly passed away, and he was a true blessing to her. He knew no strangers, and only wanted to love and be loved by everyone. The smartest of dogs, we were convinced he spoke English and knew colors, picking up his "red" or "blue" ball whenever you told him to go find it. Max was a star to everyone who knew him, and even a star of the stage, appearing in a production of the musical "Anything Goes!" He loved to play and be held like a baby. He would sleep in the crook of our legs when we lay on the couch. He was always at the door, wagging his tail for visitors, or when we came home. He loved to go for car rides, chase squirrels and eat Oreo cookies (even though we knew we shouldn't be feeding him those!). 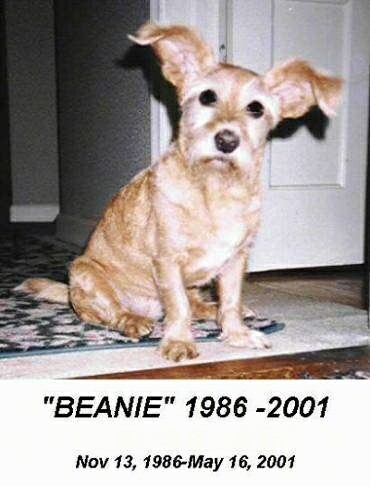 Max was only with us a too-short six years, and left this world early in the morning hours of May 7th, 2001. He had a tough struggle with kidney failure, but held on until I could see him one last time to tell him how much I loved him, and say my goodbyes. We miss him very much, and think about him every day. He was one of the most loved dogs in the world, and no one who loved him can wait to see him again one day! We love you, Max—your sweet face is forever etched on our hearts! And all of his family miss him so much. He was like a human to us. 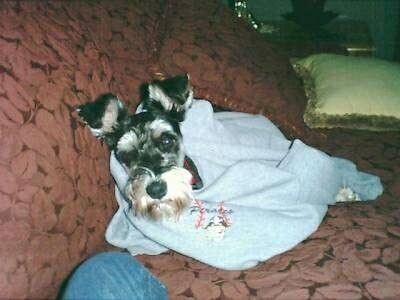 I will always love and miss my "Poochie." 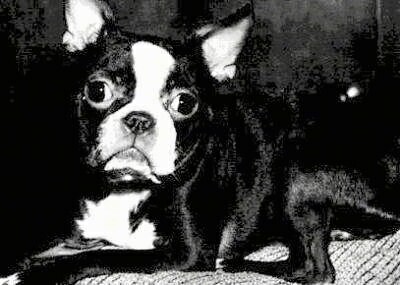 Our dog Snuggles was a very small Boston Terrier with a very big heart. No one told her that she was small so she acted very big at times. She died of cancer on April 24, 2000. Snuggles was 10 years old and was a joy in our home. My children, Sandy and Steve, now in their late teens, will remember her for their entire lives. The joy and fun times she brought to our family; always sleeping with someone or leaving one bedroom to hop under the covers with someone else. Snuggles will be a loving memory for the rest of our life; truly she was part of the family. 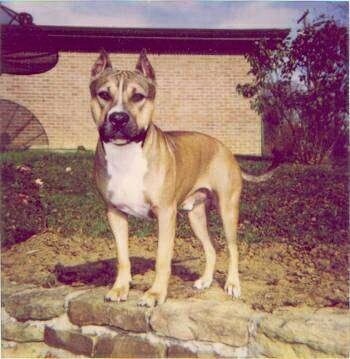 Buster was born on September 16th,1993, and was laid to rest on June 4th, 2001 due to complications from canine blastomycosis. Buster was an excellent watch dog and a significant part of the family. Always willing to please, Buster was right there, faithful, loving and loyal. You are greatly missed, my friend. My Buddy. My Knucklehead. You will always be in our hearts. These are photos of my dog, Shelley. 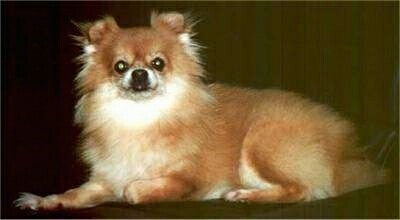 She's a Pomeranian and she passed away on the 4th of July, 2001 from a stroke. She was with us for the last 6 years of her life. 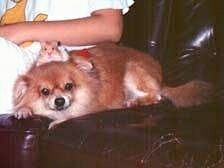 As you can see, she loved all other sorts of animals and got along very well with the hamsters, mice and guinea pig. She gave so much during that period of time and she is terribly missed. I'm sure, though, that she has gone to someplace better; she deserves that much.